Westthorpe Colliery. Any names please. Photo courtesy of Joss Pearson. 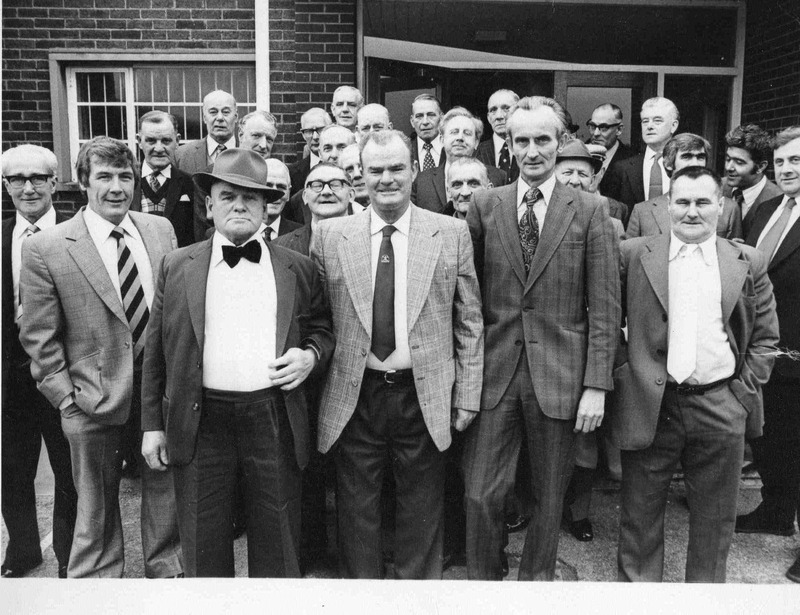 tall gent at the back,white hair,just to the left of the left door is my grandad,walter longden of eckington bless him.great man.joss was at my grandads alot when i was young. first row left to right Joss Pearson next Cloggy White 4th Conrad Hess manager back row 2nd from right Melvin Royston back row 2nd from left Herbert Storey next to him Herbert Pearson behind Conrad Hess left side George Templeton.